Prepare to experience one good thing after another when you visit Australia’s capital, Canberra. 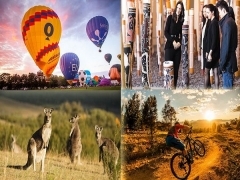 Soar above the city in a hot air balloon, explore the breathtaking natural surrounds, see international art exhibitions and go shopping at the weekend markets. Wander through a million flowers during the annual spring festival, Floriade, sample the region's award-winning wine, check out the latest foodie hotspots and enjoy a myriad of family-friendly activities. 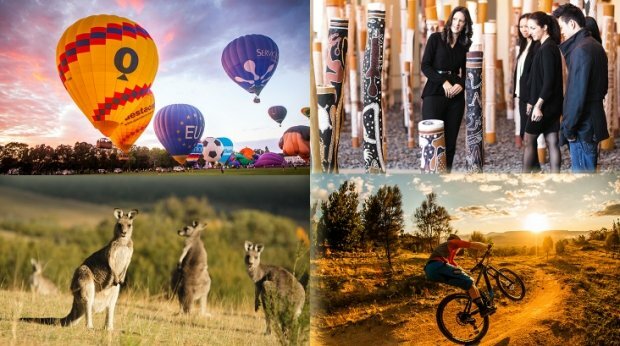 When it comes to Canberra, you never know what unexpected wonders are waiting around the corner.